Pardon me, I don't like how those shots was taken because there's no contrast between the subject (me) and the background. Agree? That's why creamy latte popped into my mind while enhancing these photos! So neutral! Just so you know I was alone taking those photos! Haha Look at my right hand (I bet you'll scroll up) trying to hide the remote control. You did it right? Fantastic you didn't notice on the first glance I could take my OOTD's on own now! Yey! 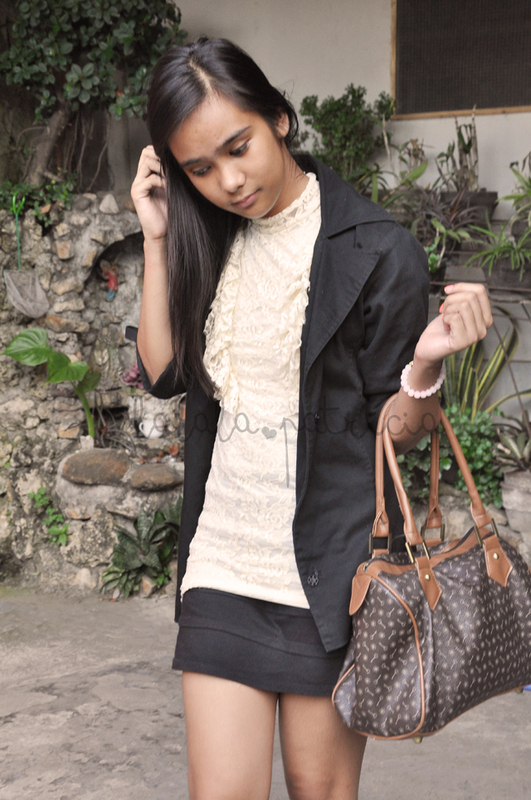 But before that I hafta learn how to take a perfect outfit shot. ALONE!